Sometimes travel isn't to a single destination. Increasingly, travelers are hitting the road to explore America and are taking their accommodations with them. 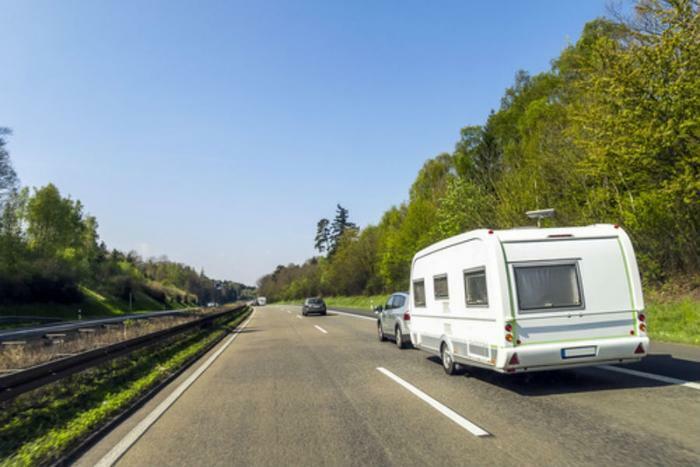 Recreational vehicles (RV), an industry that took a severe hit when gasoline prices skyrocketed a dozen years ago, has come roaring back. Sales have surged, prompting business network CNBC to declare that the "RV space is on fire!" It reports two of the major companies that make and sell RVs, Winnebago Industries and Thor Industries, both reported a huge leap in sales in their most recent earnings periods. Winnebago sales were up 75% to $476.4 million. The Recreational Vehicle Industry Association (RVIA) reports shipments will hit 472,200 units this year, with nearly 121,000 RVs shipping in the first quarter alone. Boomers and Millennials just happen to be the nation's two largest demographic groups, and both have gone all-in for RVs. But not just any RVs. CNBC notes that tow-behind trailers are outselling traditional RVs nearly four to one. The trailers are smaller, more compact, extremely well-designed, and give travelers added flexibility, since they can be unhitched at a campground, allowing the travelers to explore the area in an easier-to-maneuver SUV or truck, used for towing. Neighbors in their early 70s recently invited me to tour their new Airstream trailer that features plush, leather sofas, climate control, an enclosed bedroom, and fairly roomy shower. They've sold their home and plan to travel the country for a couple of years. They'll have plenty of company on the road. RVIA doesn't expect RV sales to peak until sometime next year. Age-wise, Ambreen and Nader Brown are at the other end of the demographic spectrum from my neighbors. They're Millennials who purchased an Airstream and set out to explore America, starting off in the Pacific Northwest. Writing on the Airstream Blog, they say they had no experience pulling a trailer until they arrived at the Airstream dealership near Seattle, where they got a crash course in trailering. They say backing the trailer into a camp spot was their biggest challenge. According to CostHelper.com, the cost of a towable RV can range from $8,000 to $65,000, but the average price is $15,000 to $30,000. The traditional motor home is quite a bit more expensive, usually over $100,000. But if you think a motor home journey might only be a one-time thing, you can rent your traveling home. Towable trailers go for as little as $50 to $75 a day, but may have no smoking or no pet policies, so you have to read the fine print. Besides the cost of the trailer, you have to pay a campground to let you park. According to RVAdventuring.com, RV parks and resorts charge the most, but also provide the most in the way of services and amenities. It might be as little as $20 a day in the middle of nowhere and around $75 close to urban areas and popular attractions. They may provide things like cable TV, WiFi, laundry facilities, and restrooms with showers. Finding your next campground while underway is not difficult. There are a number of smartphone apps, like this one, that can help you plan ahead.